Annual and perennial flowers still in season in October grow in both warm and cool climates. Many October flowers are yellow, orange or red, but colors also range from white and pink to blue and purple. Some October-blooming flowers are bulbs that appear just as spring and summer plants are becoming dormant, providing food and nectar for birds, butterflies and mammals. 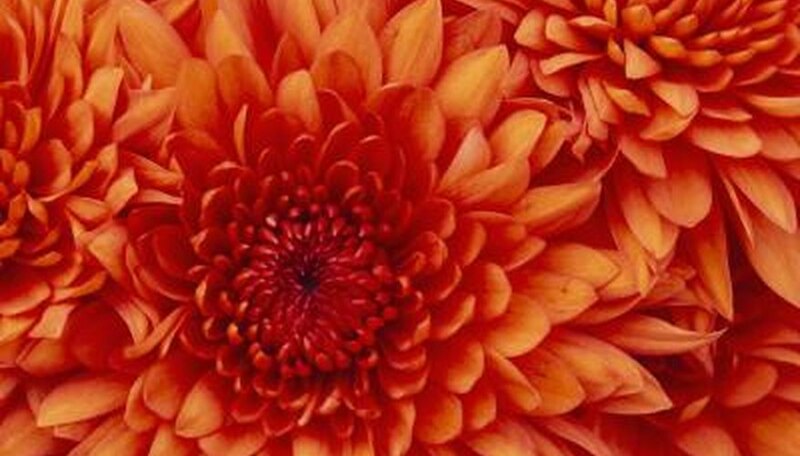 When we think of October flowers, chrysanthemums usually come to mind. 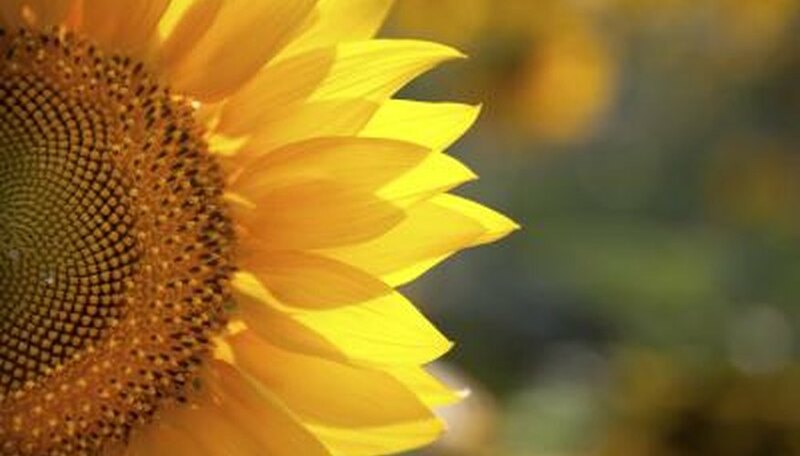 According to the Better Homes and Garden article "All About Mums, "today's hybrids all come from the same original golden-yellow daisylike mum from China." Horticulturists experimenting with Chinese and Japanese mum species have developed hundreds of varieties of chrysanthemums over many centuries. 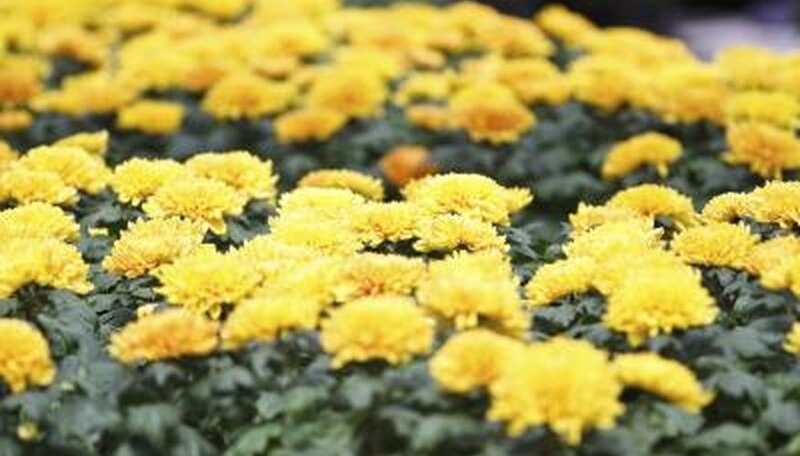 Whether you plant your chrysanthemums in the ground or in containers, or use them as cutting flowers, the blooms last for weeks and brighten up fall gardens, window boxes and your home. 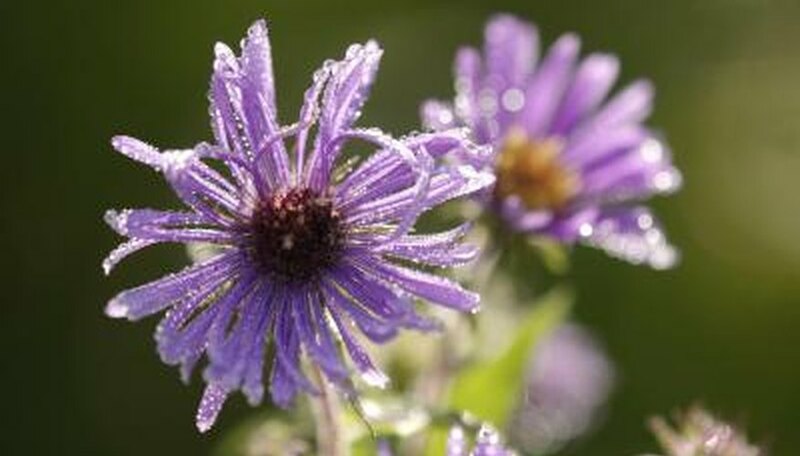 Asters are classic fall flowers, and the "October Skies" variety has blue flowers that bloom in October. Anise hyssop is a drought-resistant perennial with spikes of lavender-blue, licorice-scented flowers that blossom for months in summer and fall. Other purple or blue flowers for October are monkshood and Mexican sage. Russian sage blooms for a long time in the fall, and has violet-blue flower spikes and lacy gray leaves that smell like sage. Purple-blue fall crocus flowers blossom from late October until December, according to horticulturist Richard Jauron. 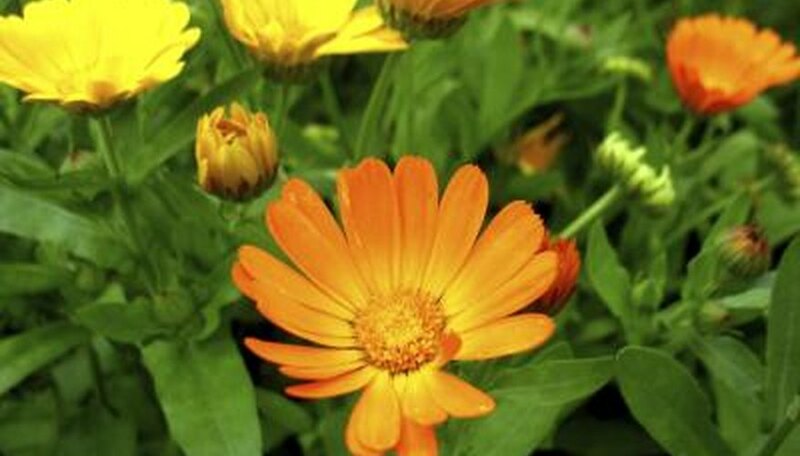 Calendula, also called pot marigold, can be yellow, red or orange and is an October birth-month flower. Also in season in October are witch hazel, with its spidery yellow flowers; red spider lily; goldenrod; and a creamy-yellow sunflower perennial. Cosmos is another October birth-month flower, whose shades, according to Texas AgriLife Extension Service, are always yellow, orange or red. Large cup-shaped Colchicum flowers appear in the fall and brighten October gardens with pink or white blooms. 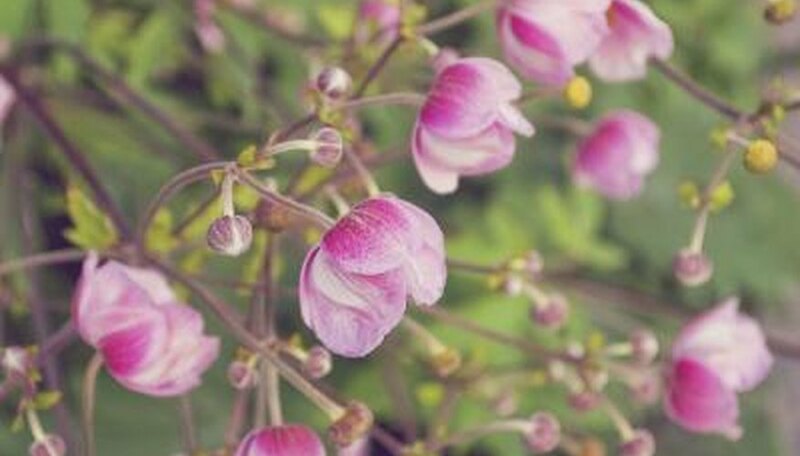 Japanese anemone grows in shady garden areas and produces tall-stemmed, poppy-shaped pink or white flowers at the end of autumn. Japanese anemones are beautiful and dramatic as cutting flowers when used for October weddings and to accent tables and homes. Autumn clematis' fragrant white flowers blossom in the fall and are still in season in October, as is turtlehead, with its pink and white blooms and glossy green leaves. Some azalea shrubs, such as the pink, white or purple Encore variety, bloom in the spring and again in the fall. Pink cyclamen flowers blossom as late as October in some parts of the United States. October flowers provide butterflies with food and nutrients needed for their winter migration. Butterfly-garden flowers in season during October include cosmos, asters, goldenrod, sunflowers, mountain mint, anise hyssop, zinnias, marigolds and lavender. Your garden-supply store can suggest fall butterfly flowers that will grow well in your location.